Being an MFL teacher has never been as challenging as in this day and age. Ironically so, considering that this is a time in human history in which mastering foreign languages is not only desirable, but truly essential for business, politics and education. In today’s globalised society, foreign language learning ought be aligned with the most recent acquisitions in neuroscience and be given more prominence in school curricula, whilst teachers ought to be given more trust, space and opportunities to grow professionally and stay motivated. Instead, the status quo the current MFL teaching landscape is one of work overload, stress, low self-efficacy and demotivation – thousands of teachers whose professional efficacy and health are undermined by a plethora of prescriptive pedagogic obligations which do not chime with research nor with common sense and are a source of daily professional and personal frustration for many. The rationale for this article is the same that has motivated me to publish my teaching resources on the TES platform, write my blog ‘The Language Gym’ and co-author ‘The Language Teacher Toolkit’ with legendary blogger and educator Steve Smith, i.e. : to attempt to address the deficits which have been undermining the effectiveness of MFL provision in England for decades and which the government has constantly failed to address. These are, in my opinion, the top-ten reasons why MFL provision in England is still largely defective. 1. Too little curriculum time is allocated to MFL. With one or two hours’ contact time per week teachers have to rush through the curriculum at an unrealistic pace which is not conducive to effective learning. The end-result: entire cohorts of students whose retention and understanding of the target language vocabulary and grammar is more than often poor and defective. The expectations set by the new GCSE specifications in terms of coverage and standards have made things worse forcing some teachers to start teaching towards the exam as early as year 9 for fear of not being able to prepare their students adequately for their Year 11 exam. 2. SLT understand little about the uniqueness of MFL teaching and learning. Way too often SLT impose educational fads to language teachers, which hardly apply to or enhance their subject delivery, as they are not in sync with the way humans acquire languages. This is a huge source of frustration for teachers who are expected to teach and assess a skill-based subject (languages) in the same way as a knowledge-based one (e.g. humanities or science). 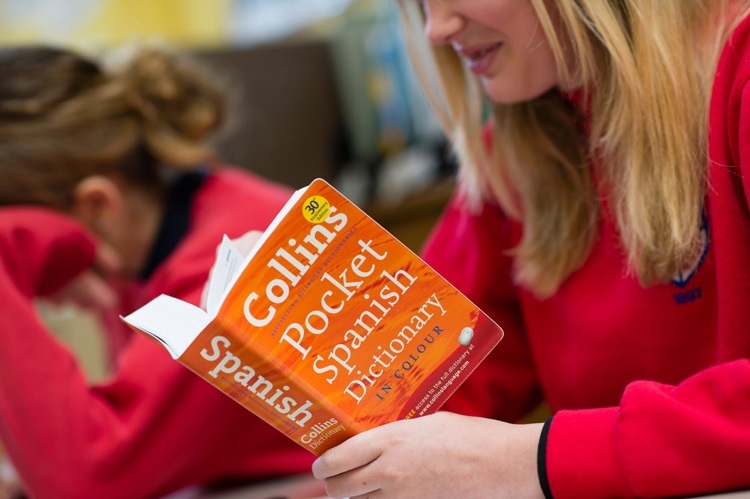 Language learning is acquired differently from the core subjects most school policies are designed for, and SLT’s failure to realize or acknowledge this in their modus operandi does a lot of damage to MFL teaching and learning. 3. Too much emphasis is laid on ‘fixing’. Teachers are forced to waste a lot of time on marking books and giving written feedback using multi-coloured codes and stamps, when the ratio effort/surrender value of trendy correction practices such as D.I.R.T. and other dialogic forms of feedback is minimal in terms of the extent to which they actually benefit second language acquisition. There is plenty of empirical evidence in the core literature which firmly points to that, including my Ph.D study’s. Teachers’ time should be spent reflecting on their practice and on how best to teach their students. Research clearly evidencing that school should work on improving teacher efficacy and reflectivity in order to enhance learning. This unnecessary emphasis on corrective feedback eats into teachers' professional and planning time. Lunacy – teachers should focus their efforts on TEACHING rather than on FIXING. 4. Teacher training is often inadequate in equipping students with a principled pedagogic framework. PGCE students are often thrown in the deep end with inadequate methodological preparation and are expected to learn how to teach from very busy practitioners who are snowed under with work and have too little time and knowledge of language acquisition and training in coaching to effectively mentor their supervisees. Please note that by ‘methodological preparation’ I mean a substantive understanding, steeped in cognitive science, of how and why students best learn languages in classroom settings, as well as a principled framework which would guide pre-service teachers through the very challenging tasks of planning and resources for their lessons. Many practising teachers and teacher trainees who read my blog often ask me: Why have I not been taught this on my PGCE?. Yes, why haven’t they? PGCE trainees should be equipped with sound knowledge of language teaching methodology (not merely instructional techniques) before they are asked to observe and plan lessons as part of their teaching practice; this ‘swim-or-drown’ approach to teacher training has been failing many English teacher trainees for over three decades. All I learned during my teacher training, for example, was how to use flashcards, make beautiful OHTs, survival classroom-management techniques, a few fixed instructional sequences, how to keep my planner tidy and that teaching is an extremely stressful profession – a message that I heard loud and clear from each of my supervisees and school-based role models. From what I hear from many of my teacher-trainee readers day in day out in the social media, not much has changed since. 5. Listening is the ‘Cinderella skill’. 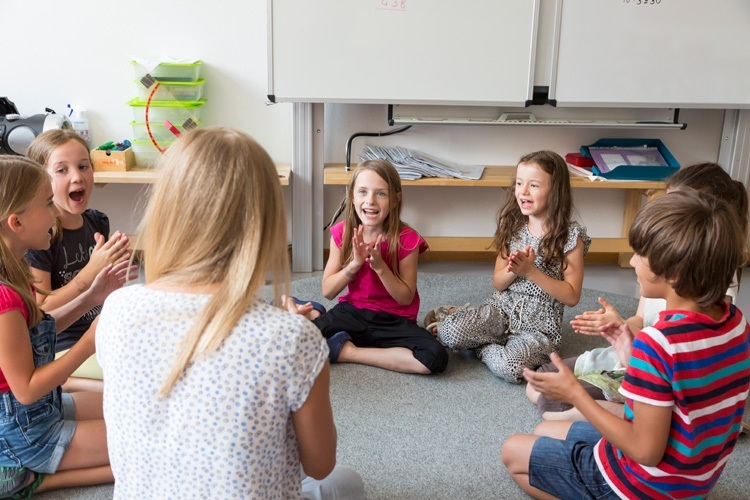 Listening is the most neglected of the four language skills in the typical MFL classroom, yet it is the pivotal skill in first and second language acquisition, as humans learn more than 45 % of their first language from it, whilst only 10% from writing. In English MFL classrooms listening is usually taught through quizzes/tests (listening comprehension tasks) which teach students absolutely nothing and often undermine their confidence as they usually entail mere guesswork – not understanding. Textbooks, teacher trainers and CPD providers do not emphasize the importance of this skill, hence MFL instructors do not perceive its importance. In primis, listening should be used to model and reinforce language not merely to test; in secundis, it should be given much more prominence in the curriculum. 6. Speaking is another overly neglected skill. Teachers stage too little student-to-student interaction, do not have a clear framework as to how to get students from the parroting stage to expert fluency and renowned professional-development ‘gurus’ add to the confusion providing scandalously misleading and/or inadequate advice on the subject. This neglect is scandalous considering that speaking involves the mastery of complex cognitive and motor-sensorial production systems that needs to become automatized if we want to approximate first language fluency (i.e. 2 to 4 words uttered per second). This is my greatest source of daily frustration as ultimately it is speakers not mere ‘knowers’ of the vocabulary and grammar of the language that MFL teachers should aspire to forge. The over-use of iPads and other digital devices has further exacerbated this neglect in recent years. 7. MFL curricula usually do not allow for sufficient recycling of grammar and vocabulary. 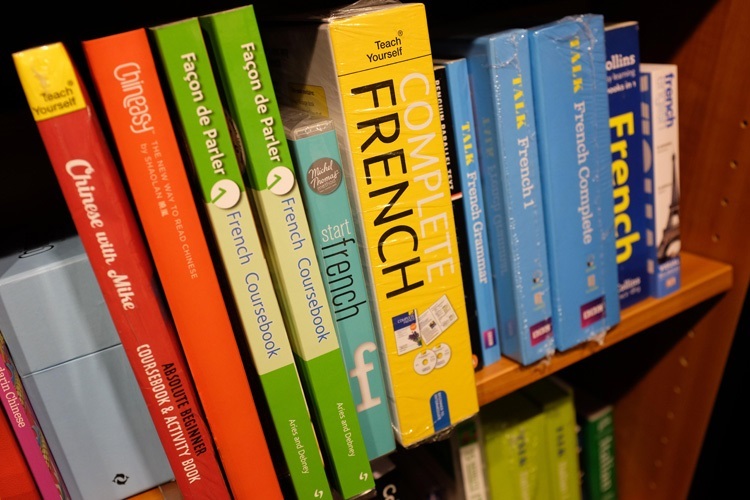 The textbook- publishers’ schemes of work and the typical MFL department’s ones do not recycle vocabulary and grammar sufficiently across units of work, hence students’ retention is often poor. In 25 years of teaching I have never come across schemes of work which explicitly and systematically recycle vocabulary and grammar following a principled approach; yet we know from neuroscience that without any reinforcement learners can forget as much as 80 % of what they learn in a given lesson after less than a week since first exposure (60 % after just over 24 hours!). 8. Grammar is taught and assessed through obsolete models which do not allow for the automatization of the target grammar structures. Grammar is still taught in much the same way as we teach other types of knowledge; yet, language acquisition is about learning skills not facts. In other words, language is learnt as you would learn how to drive or play tennis or football. Consequently, grammar teaching should involve students in skill-based practise across all four processing modalities, especially listening and speaking. This very rarely if ever happens. Students still learn grammar through explanations and non-contextualized examples on Power points and are still tested through gap-fill tasks. Being able to fill in a gapped passage with the correct grammar structure is obviously not evidence of grammar acquisition; being able to use that structure correctly in real life communication is. 9. Textbooks are dull and provide insufficient input. This is especially the case in terms of receptive skills (listening and reading). They do not follow a pedagogically coherent structure and totally underemphasize pronunciation and grammar. Moreover, their recycling of the core target grammar structures is poor. 10. Primary teaching is too ludic, giving an impression that MFL learning is all about fun, songs, drawing and playing. Primary should be the place where pronunciation, decoding skills (the ability to convert letters into sound), spelling, agreement, learning strategies and all the other basic skills which would facilitate teaching and learning at secondary level are taught. Instead, primary MFL teaching is by and large ineffective in providing such crucial foundations for future language acquisition, both in terms of metaphors of learning, expectations, learning habits and strategies and skill acquisition. What frustrates me, is the fact that much primary teaching is too much about fun and play and too little about acquiring the solid bases of target language acquisition that students badly need in order to successfully cope with secondary MFL learning. Pronunciation and decoding skills are possibly the skillsets that are most grossly neglected, despite the fact there is mounting evidence that they are important predictor of future foreign language learning success. I am aware that the bleak picture of the current MFL teaching landscape I depicted above does not do justice to a lot of very good work I know is done in many classrooms and does not by all means apply to every single modern language teaching setting in England. I know of many colleagues and institutions who address some of the very issues I have highlighted successfully in their practice and share their successes with other MFL practitioners in a noble and laudable attempt to disseminate good practice. All in all, however, the sad reality is that the ten issues I have discussed above are rampant plagues that day in day out undermine MFL teaching and learning in many English classrooms. We are stuck in a rut – as a colleague of mine tweeted the other day. To move forward, on the one hand the government must drastically rethink their policies vis-à-vis pre- and in-service teacher training and MFL provision, especially in terms of the ridiculous overload they place on teachers; on the other, teachers must be more receptive to and re-align their practices with current theory and research in language acquisition and pedagogy. Finally, SLT ought to recognize the uniqueness of MFL learning and adapt their teaching and assessment policies to accommodate for such uniqueness. Dr Gianfranco Conti, co-author of 'The Language Teacher Toolkit', is a French and Spanish teacher at the Garden International School in Kuala Lumpur and founder of The Language Gym.